After pregnancy, there’s huge pressure on women to get back to their pre-baby weight. 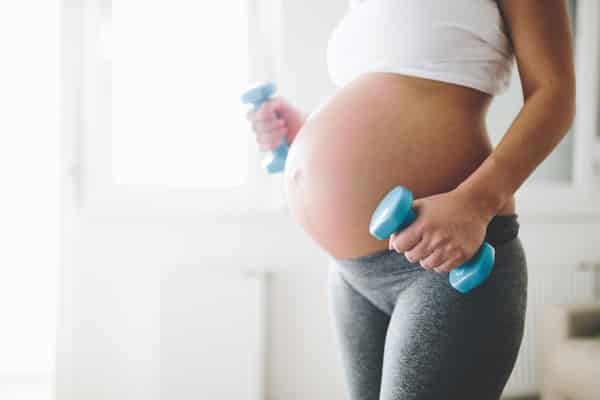 Unfortunately, for someone who has just had a twin or multiple pregnancies, shedding the extra pounds will take a bit more time and effort. The good news is that losing weight after twins without losing your sanity is possible. Check out our best tips for safely shedding the pregnancy weight below. Moms of twins face so many more challenges to losing weight than moms of singletons. It’s definitely going to take longer and you’ll have to put in more effort to lose the pounds you gained over the last nine months. You’ve put on more weight — According to WebMD, the average weight gain during a singleton pregnancy is 25 to 35 pounds. In a twin pregnancy, it’s between 35 and 45 pounds. moms lose much of this when their twins are born, but there’s still going to be quite a bit more to lose during the next few months. You’re dealing with two newborns — As though taking care of just one wasn’t already hard enough, you’re taking care of two, which means you have less time (or maybe no time) for self-care than someone with one newborn. You may be in more physical pain — Healing may be more difficult, especially if you had a C-section. When trying to lose weight after pregnancy, it’s important to manage your expectations and not rush the process. It never helps to compare yourself to supermodels and celebrities, whose jobs it is, after all, to stay skinny. Despite how the press portrays it, there’s no magic bullet that will help you lose your pregnancy weight quickly. However, it’s equally important that you try to get back to a healthy weight after pregnancy. This is especially true if you were diagnosed with gestational diabetes, which could lead to serious health issues later on. According to doctors, failing to drop the baby weight can lead to problems like diabetes and heart disease down the road. Even with your limited time and energy, there are some basic things you can do to safely lose your pregnancy weight. Don’t rely on just one method; doing all of these or even just a combination of some will help you shed pounds more easily. Eat better — You don’t have to go on a diet; in fact, that’s not recommended, especially if you’re breastfeeding. The best way to drop the baby weight is to eat well but not overeat. Replace the junk food with food that’s closer to its natural form — that means more fruits, vegetables, grains, and lean meats. Instead of counting calories, eat a balanced variety of foods and try to have smaller meals. Avoid fake sugars, synthetic preservatives, and artificial colors. If you’re nursing, make sure you’re getting enough proteins, carbs, and fats to fuel both your own body and to feed your children. Breastfeeding — We’ve all heard how breastfeeding helps new moms shed pounds faster, but please don’t rely on breastfeeding alone if you want to get back to your pre-pregnancy weight. While you’re breastfeeding, you shouldn’t eat less than 1,800 calories a day. In fact, you’ll need 400 to 500 more calories every day to ensure that you’re producing enough milk. 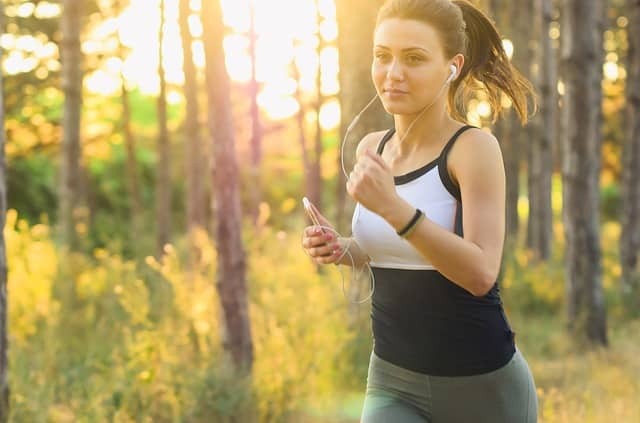 Exercise — You don’t have to spend hours at the gym to reach your post-pregnancy weight goal. Carrying your babies around every day will be enough to get your blood pumping, but you can also go on brisk walks or download a workout app and aim for a 20-minute session at least four times a week. Drink lots of water — Aside from being critical to your milk production, staying hydrated helps you control the amount of food you eat and also speeds up your metabolism. Don’t diet. Cutting calories is not the best way to lose your pregnancy weight. Aside from the fact that going below 1,800 calories will affect your milk supply, restricting calories can backfire, causing you to have intense cravings or to stress eat and gain more pounds. Snack on raw fruits and vegetables, whole grain crackers, and other healthy foods throughout the day instead of skipping meals. Try to get enough sleep. Studies show that new moms who have fewer than five hours of sleep tend to hold onto their baby weight longer than moms who get seven hours of sleep. In addition, sleep deprivation often leads to stress eating. Don’t overdo it. If you restrict your calories too much or exercise too much, you’ll end up an overtired cranky mess. Remember that your first priority during this period is the wellbeing of your newborns. Lift safely. Strength training will help you lose your postpartum weight and improve your muscle health. You can do this with dumbbells at home, but be sure to keep proper form to avoid getting injured. Let your pelvic floor heal. Pelvic floor dysfunction is fairly common after childbirth. Stick to low impact exercises in the first few months after having your babies. Ask for help. Don’t feel guilty about not being able to “do it all.” It takes a village to raise a child (or children, in your case), so reach out to your doctor, your family, or other new moms if you’re starting to feel overwhelmed. Don’t rush it. It took your body nine months to put on all that weight, so give it at least that long to get back down to your previous size. There are a couple more things you need to remember when trying to lose weight after pregnancy. First, how fast you lose weight depends on what your pre-pregnancy body looked like. Second, you may struggle with the weight loss plateau. But don’t worry. losing weight after twins may be difficult, but with discipline and persistence, you’ll definitely be able to reach your goal.